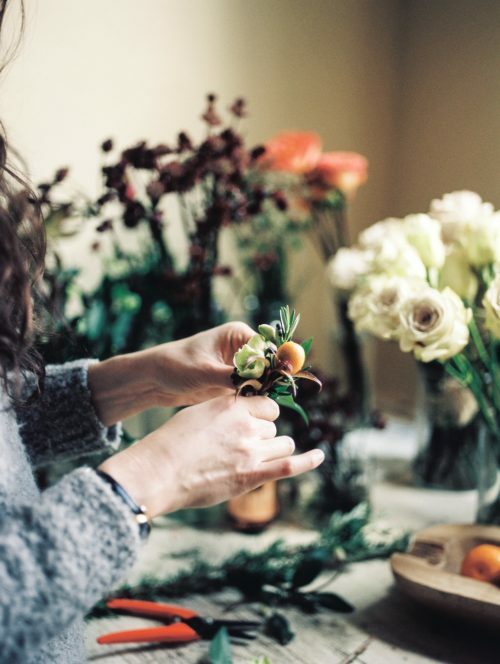 La Fleur du Jour’s founder and head floral designer Genevieve Targoni fills us in on her Cali girl background, her favorite stems, and where you can find her on a Friday night in DC. Take us back to your roots. 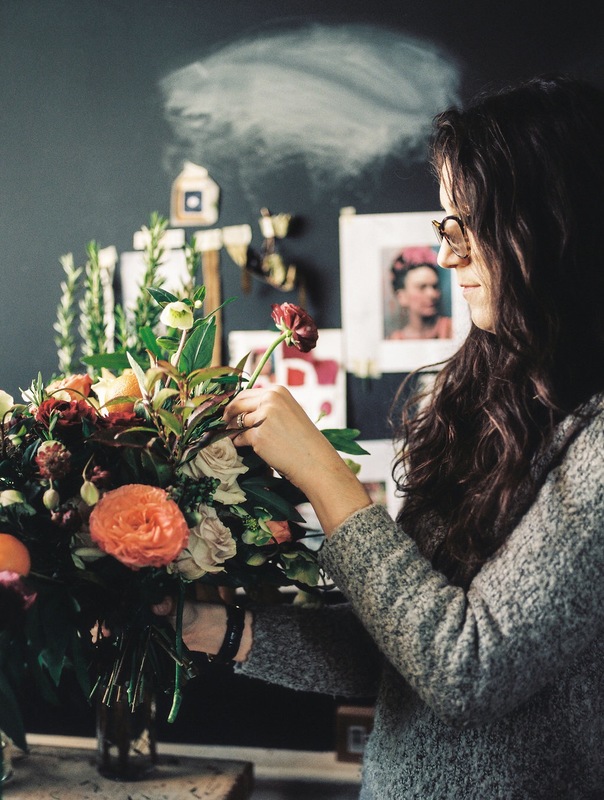 How did you get into the floral design business? A friend asked me to do her floral for her wedding because she was having trouble finding a florist. 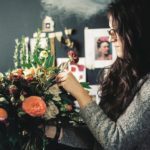 I remember getting into the car and telling my husband, “I think I committed to something bigger than I realize.” What I meant was that it was going to be a lot more work than I anticipated, but I think the universe was guiding me towards my destiny. Ever since that day, I’ve been committed to a lifelong pursuit of beauty and a love affair with flowers. 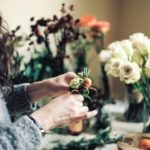 What are some tips for creating the perfect bouquet? First and foremost, pick the right products. Picking the right combination of textures and shapes is imperative to creating a piece that is effortlessly elegant but also minimalist. Which leads me to #2: Don’t try too hard. I find that if/when I try too hard to make something happen, I am rarely satisfied with the result. When you’ve picked the right combination of ingredients, you’ll find that the flowers do all the hard work for you. It might sound funny, but just be in tune with the flowers and let them tell you what they want to do. They’re really magical in that way. If you were a flower, which one would you be and why? I have been told that I would be English lavender. My sister says that she thinks lavender is my soul flower because I have a similar frame – I am tall and thin – but also because its wild and earthy but still is very elegant. I personally think I’m more of a wild flower or a ranunculus. I have a little bit of both in me. Ranunculus are strong but have a sweet, delicate side as well. It’s their confidence and brutal honesty that draws people in. But once you get to know them, you realize they have this subtle, delicate feminism hidden behind their tough exterior. They are always true to themselves. They have a raw beauty and will never shy away from themselves. And wildflowers – they’re the original free spirit. They are independent and tough. They do not want to be tied down or told how to grow, they grow whenever and wherever they want. They will not be tamed, they just want to be wild and free. They don’t waste energy worrying about unimportant things. They may seem like they do not care but they care a lot about things that matter/are important to them. They grow where they want to grow and they don’t apologize for it. What do you love most about living in Washington, DC? I LOVE the seasons. 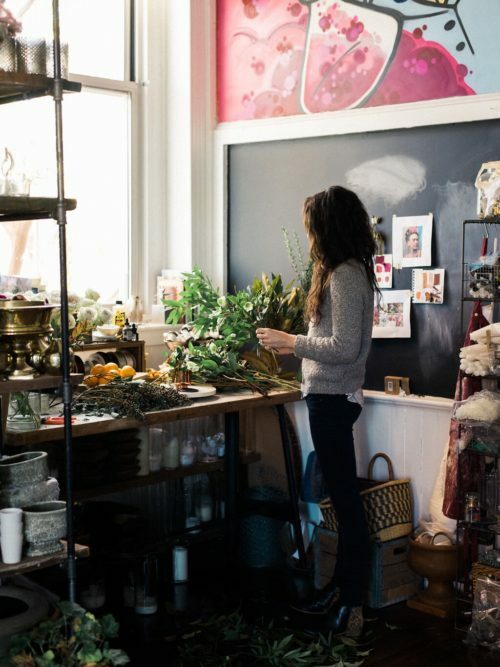 There is something about the change of seasons that makes everything constantly new and fresh.I moved here from Santa Barbara not really sure what to expect – My husband lost his job and we had no plans, no back up. He decided he wanted to be a teacher so he started applying to programs. Serendipity stepped in and he got into a program in DC and in Baltimore. We chose Washington, DC on a whim, packed up the van, and spent days driving across the country. We got into the city and it was love at first sight. I’m still a Cali girl at heart, but I really have never felt so motivated or excited to accomplish things in my life. It’s a crazy city full of so many interesting people from all over the world and you instantly feel a part of something. Honestly, my bed. I love my sleep! Also a hot bubble bath with a glass of wine at the end of a really long day. I plan on renovating my bathroom around my love for bubble baths. Lol. What item of clothing best sums you up? My black leather motorcycle jacket or my cheetah print Dolce Vita boots. Coffee, my car (I’m an LA girl through and through), and in this season, a cozy wool sweater. What music do you currently have on repeat? Ray LaMontagne, Florence and the Machine, Joanna Newsom…the James Vincent McMorrow Pandora station is also getting a lot of air time. I’m all over the map with music. Lately I’ve been loving Alicia Keys and Janelle Monáe. And I still love the highschool throwbacks like Death Cab for Cutie and DeVotchKa. Where could we find you on a typical Friday night/Sunday morning? Friday nights you could find me at home cooking dinner and catching up on my shows. I am a crazy fan of trashy television like Grey’s Anatomy, The Bachelor/Bachelorette (this has been kept secret up until now), and Real Housewives. And when I’m feeling stir crazy or in need of a good girl chat, I’ll meet up with friends at a bar nearby – Copy Cat, Maketto, Bucherts, Tiger Fork, R Bar in Baltimore, Calico are some places I frequent. Sunday mornings I sleep in and drink coffee in bed with my dog, Gideon. 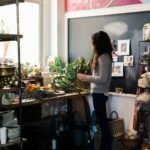 What’s been one of your most rewarding moments as a business owner? I think one of the most rewarding things I have experienced about being a business owner is facing challenges head on and learning to do things that I have always told myself I wasn’t capable of doing. There is nothing more satisfying than overcoming your fears and finding that you are actually much stronger than you thought you were. I have always been creative but never saw myself as a business person, but here I am! I have learned so much about myself and am thankful to be able to do what I love everyday. What can we expect to see from you/La Fleur du Jour next? We’re growing at a crazy rate which is really exciting. To be honest, you can expect the unexpected because even I’ve been surprised by where this business has taken me. But I can promise lots and lots of La Fleur du Jour flower power!